Svalbard, Greenland, Iceland, the Canadian High Arctic, the Russian Far East and the North Pole provide exceptional experiences for all who visit. We’ve selected 10 of the best ships to deliver you to these wondrous wilderness areas. You have the choice of Expedition, Luxury-Expedition, Luxury and Icebreaker vessels. All ships and their operators are well known by us and we know they will safely deliver a high quality operation. For the safety of guests, crew and the environment, all vessels have two engines (or in the case of Ocean Nova an auxiliary engine that can bring the ship back to port). All ships are AECO members (as is the Arctic Travel Centre). All operate with a high ratio of crew to guest. 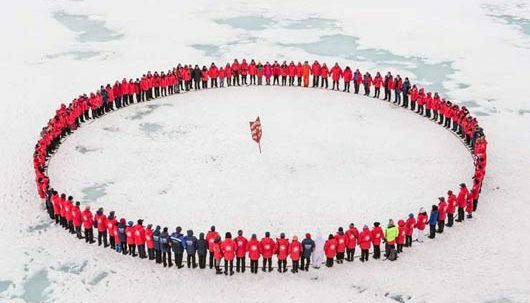 AECO (Association of Arctic Expedition Cruise Operators) regulations control the frequency and number of guests visiting all sites. No more than 100 guests can land at the same site at the same time. If your chosen ship has up to 200 guests wishing to go ashore at the same site, some guests will have to wait. 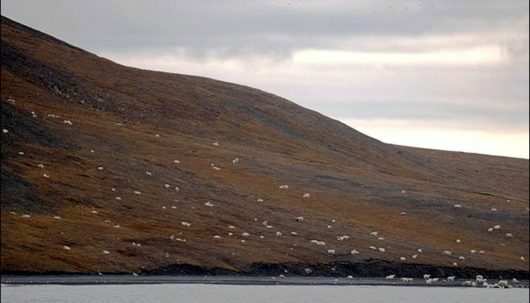 In some places in the High Arctic it is sometimes possible (but not always) to position the ship close to two sites, allowing half the passengers to visit one site and half at the other, or to have half the guest land and the other half take a zodiac cruise. There is a strong likelihood that larger vessels (carrying 120-200 guests will visit fewer sites (than those with fewer than 100 guests) – as a result of taking longer to allow all clients to go ashore. Find out more here. Generally expedition ships have a greater emphasis on maximising time off the vessel or out on deck than on a larger more ‘luxury’ ship. This is helped by having fewer than 100 guests, hence all guests can go ashore at the same time. On most days an Expedition ship will offer two off ship excursions. The expedition team works closely with the ship’s captain and crew to deliver a high level of service and a flexible approach which means they can react to local circumstances; like a group of feeding whales, if possible they will stop and launch the zodiacs. The cabins are comfortable, the food of a very high standard. 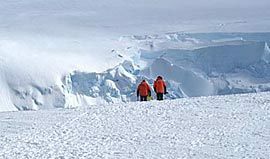 An expedition client is someone who wants to maximise their opportunities to get off the ship and learn. Guests onboard are of all ages however you will be physically able to climb some relatively steep stairs and get in and out of a Zodiac. The Ocean Nova is a small expedition ship that was built in Denmark in 1992 to sail the ice-choked waters of Greenland, and the ice-strengthened hull is ideally suited for expedition travel throughout the High Arctic. Refurbished in 2006, it has a capacity of just 68 passengers accommodated in comfortable has a glass-enclosed observation lounge. The Akademik Sergey Vavilov (92 guests) was built in Finland in 1989. She has an ice-strengthened (1A2 rating) is very stable, manoeuvrable and as a result quite fast. The Expedition staff are amongst the best with a very strong emphasis on guest service. 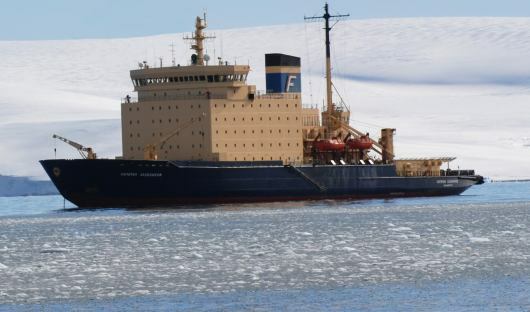 Excellent Russian captains and crew have decades of experience in operating in Polar regions. The Akademik Ioffe (96 guests) is a sister ship to the Vavilov, built in the same shipyard in Finland in 1989. She has an ice-strengthened (1A2 rating) is very stable, manoeuvrable and as a result quite fast. The Expedition staff are amongst the best with a very strong emphasis on guest service. 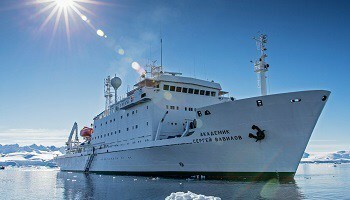 Excellent Russian captains and crew have decades of experience in operating in Polar regions. 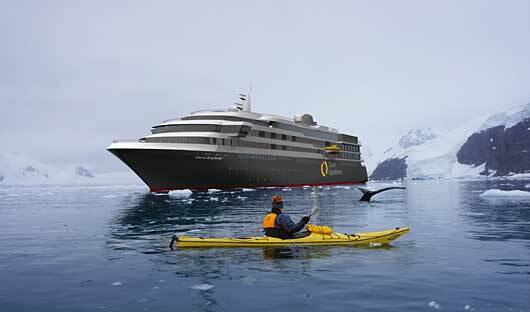 As the name suggests these ships are a hybrid of an Expedition Ship and a Luxury Ship. Some are small ships with close to 100 guests and can offer two landings a day and focus on maximising opportunities for exploring as on an expedition vessel but with the added comfort of having larger, more comfortable cabins and common areas. Those with up to 200 guests generally offer one off ship excursion a day (largely due to time factors associated with the 100 passenger ashore limit) and still have an adventurous soul. Generally cabins are larger or perhaps the ship is newer than an Expedition ship. Meals are a mix of buffet and served courses and the cuisine is of a very high standard. 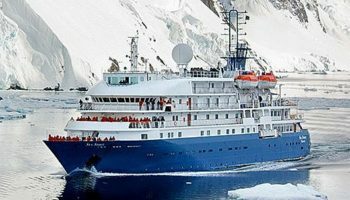 The Greg Mortimer is a new (maiden voyage in 2019), purpose built, Polar expedition vessel designed in close consultation with Polar expedition specialists and is the first expedition cruise ship designed with the ULSTEIN X-BOW hull. This cutting edge nautical technology allows for: gentle travel and motion at sea, improved comfort and safety on-board, reduced vibrations, lower fuel consumption, lower air emissions and ‘virtual anchoring’ which means the ship can float anchorless while launching the Zodiacs without disturbing delicate sea floor areas. 120 guests will be accommodated in staterooms all with en-suite facilities. The ship has custom-built hydraulic platforms offering guests unobstructed views, a dedicated activity platform and an indoor observation lounge with unobstructed panoramic views. The outdoor top deck allows for 360 degree views. 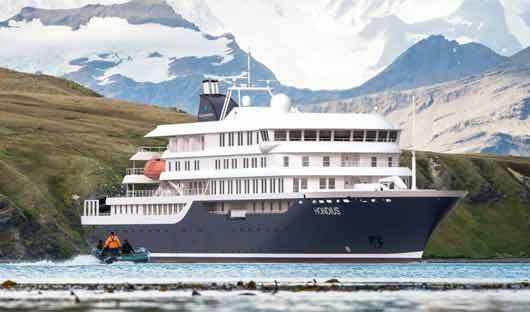 The Greg Mortimer will set a new level in luxury & expedition cruising; focusing on multiple landings, flexible itineraries and environmental sensitivity. 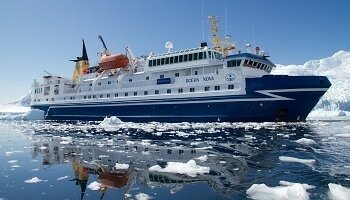 An ice-strengthened all-suite expedition ship Sea Spirit was built in 1991 in Italy. The vessel was refurbished in late 2010 and is again due for drydock in April 2017. 54 suites and a maximum of 114 passengers. All suites have private facilities and exterior views. Some suites feature private balconies. 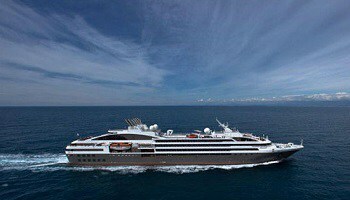 The Hebridean Sky (71 guests) recently underwent a ten million dollar refit and boasts a high degree of comfort and safety. Always known for its effortless elegance, impeccable service and atmosphere of charm and camaraderie. Its all suite cabins and increased adventure options make the Hebridean Sky the perfect blend of luxury and adventurous exploration. 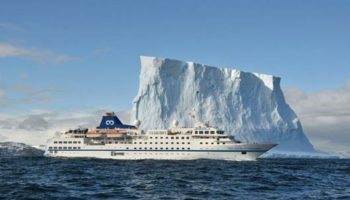 The RCGS Resolute (formerly the MS Hanseatic) is a modern, ice-strengthened Antarctic cruise ship with all en-suite cabins accommodating up to 146 guests. Purpose built for polar waters in Rauma Finland. The Resolute has the highest ice class rating (Lloyds 1AS). She combines first class accommodation, excellent cuisine (dinner is a la carte) with a true expedition experience. National Geographic Explorer (148 guests) was completely redesigned and rebuilt prior to being relaunched in 2008. The ship is equipped with an ice-strengthened hull and advanced navigation equipment for polar expeditions, and offers a well-appointed interior with vast expanses of glass for an unprecedented connection to the regions explored. 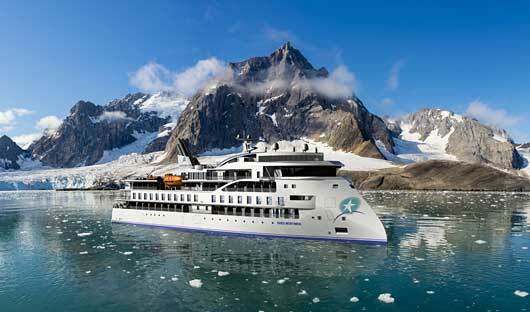 The World Explorer is a brand new ship, built 2018, and is fully equipped to take you on an Arctic cruise. Taking 176 guests every cabin has either a private walk-out balcony or a Juliet balcony for direct ocean views as well as en-suite bathroom. There are plenty of public areas to relax after a day filled with excursions including the glass domed observation lounge, the explorer lounge and a dedicated lecture theatre where the educational program is conducted. There are health and wellness facilities featuring an outdoor running track, small gym, sauna and spa. The Hondius (176 guests) is scheduled to launch in 2019. She will have an Ice class rating of 6, the most advanced to date. The Hondius will offer deluxe accommodations for a total 176 guests. One deck has been entirely reserved for lectures and presentations in one large observation lounge. 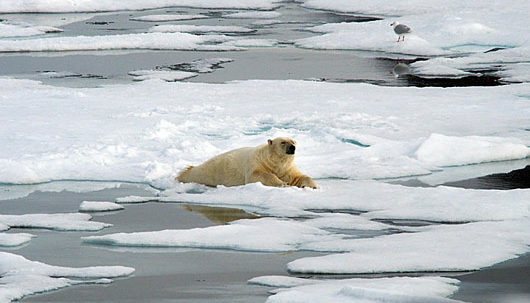 The ship’s main focus remains discovery, taking advantage of wildlife opportunities and the related shore activities. Efficient zodiac embarkation is guaranteed with two separate gangways and in addition a zodiac embarkation indoor-platform which can also be used for special activities such as kayaking. 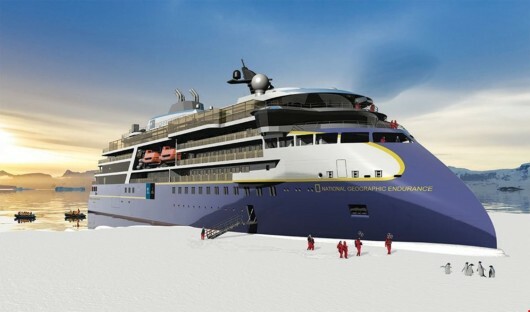 Launching in 2020, the National Geographic Endurance is a next-generation expedition ship, purpose built for polar navigation. The Category A vessel is a fully stabilized, highly strengthened ship designed to navigate polar-passages and uncharted waters all year round. Designed to provide an extremely smooth ride in even the most adverse of conditions, reduced spray on deck and wave-splicing action making for superior observation. Made for exploration, this ship is outfitted with kayaks and a fleet of Zodiac landing crafts, underwater cameras, video microscopes to explain elements of the surrounding environments, a hydrophone to listen to the vocalisations of marine mammals, an open bridge to constantly talk to your caption and expedition crew and snorkeling gear and wet suits for underwater excursions. Please Note: As the National Geographic Endurance is still being built, all images featured are rendered and actual images may vary. These luxurious ships combine more traditional-style cruising with an Arctic adventure. They offer large, very comfortable cabins with en-suite facilities; many suites have private balconies. Excellent cuisine options are available on board. 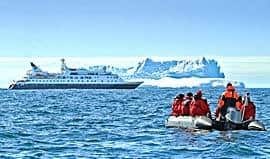 Zodiac dinghies and an expedition team enable you to explore the High Arctic and come home to an exquisite ship. A luxury ship puts greater emphasis on the on-board experience. On-board these larger luxury ships there are limitations on the number of landings made as at most sites the limit of people ashore at one time is 100. 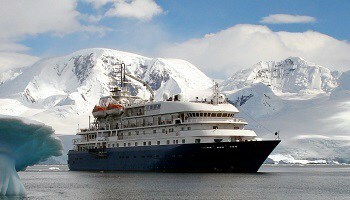 National Geographic Orion (102 passengers) is a modern, elegant ship with an intimate ambiance. The window-lined main lounge and library offer spectacular views while the expedition community are gathered each evening for cocktails and a recap of the day’s activities. High atop the vessel, the cosy observation lounge is ideal for taking in the 270º views, or you might choose to brave the outdoor bar (with ambient heaters) on the same deck. 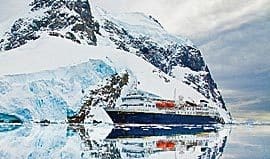 The 53 cabins accommodate 102 guests and all are exterior, with most featuring picture windows that connect you with the Antarctic landscape. Built in Germany in 2003 and engineered for maximum safety and comfort, Orion is ice-strengthened and has the latest technology, including large retractable stabilisers, sonar and radar. Its fleet of 14 Zodiacs ensures quick disembarkation and offers the ideal transport for up-close exploration. Embark on a luxurious cruise aboard the Silver Explorer (formerly the Prince Albert II) — a purpose-built expedition ship with just 112 guests and the intimate on-board ambience of a private yacht. Designed specifically for navigating waters in some of the world’s most remote destinations. 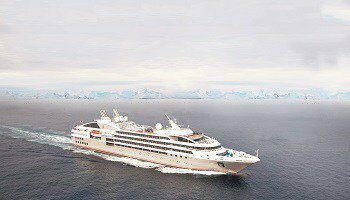 The Le Boreal was launched in May, 2010. She features elegant design and innovative state-of-the-art marine technology. The vessel boasts a convenient layout, aided by three passenger elevators. She offers a single seating dining room, al fresco dining, an outdoor heated pool, and a modern lecture facility and theatre, as well as an ample and comfortable gathering area and library for her 200 guests. 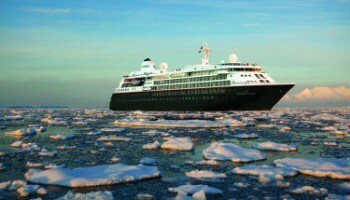 The Le Soléal provides a luxurious and comfortable experience to the final frontier – Antarctica. Carrying a maximum of 200 passengers she creates a welcoming and intimate atmosphere for you to take in the awe of this majestic continent. This ship offers excellent facilities including a spa, fine dining restaurants and exquisite décor throughout. 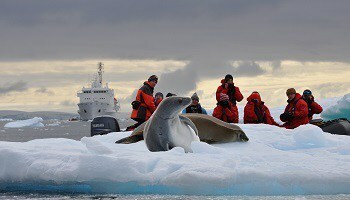 The fleet of Zodiacs take you off the ship on excursions to explore the wonders of Antarctica. Spacious yet intimate, the yacht-like Silver Cloud carries 240 guests in incomparable comfort and style. Combining spacious ocean-view suites and private verandas with excellent dining and entertainment options. Silver Cloud epitomizes a vision of worldclass cruise accommodations, cuisine, service and amenities. A nuclear powered icebreaker with the power, strength of hull and weight to literally crush a path all the way to the North Pole. With a maximum of 128 guest the 50 Years of Victory is only used for voyages to the North Pole. On the way back from reaching the top of the world the ship visits the remote archipelago of Franz Josef Land which is home to polar bears, walrus, beluga whales as well as excellent birdlife. The Kapitan Khlebnikov combines power and technology with comfort and has 52 en-suite cabins and a maximum of 102 guests. 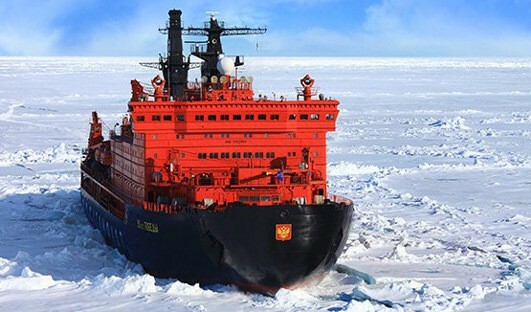 This polar class icebreaker was originally designed for the ice-choked waters of norther Siberia. Its 24,000 horsepower engine and advanced ice-breaking technology allows access to places in the Russian Far East that no other ship can. She has a fleet of Zodiacs to take passengers on excursions. She carries just 102 passengers and was refurbished in March 2013 to provide comfortable accommodation in twin share cabins all have private facilities. All cabins have outside windows or portholes and ample storage space. On board there is a combined bar/library lounge area and a dedicated lecture room. The cuisine is very good and is prepared by top NZ and Australian chefs. 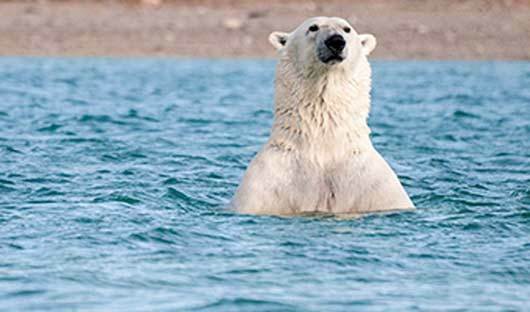 An Arctic cruise is every bit the equal of an Antarctic cruise. 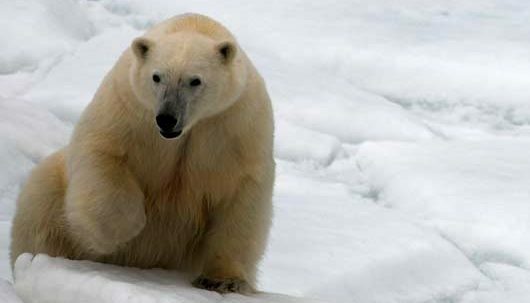 Immense ice floes, glaciers, icebergs and amazing wildlife; polar bears, walrus and puffins to name a just three. 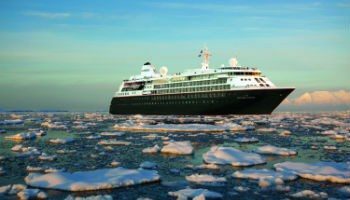 Our Antarctica & High Arctic brochure is intended to be a starting point to help you decide which, region, cruise and type of ship would suit you. To discover more about Spitsbergen, Greenland, Baffin Island, Iceland & the Russian Far East, stay up to date on any special offers and new season releases, sign up to our email newsletter. We will tailor the perfect holiday to suit your needs. Contact our expert consultants to find out more.